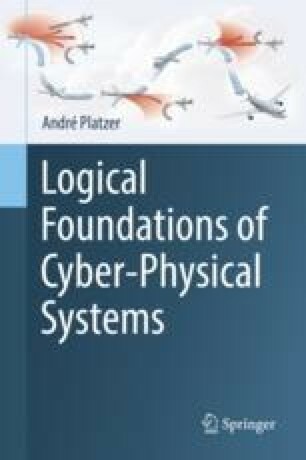 The primary goal of this chapter is to obtain a solid working intuition for the continuous dynamics part of cyber-physical systems. It provides a brief introduction to differential equations with evolution domains as models of continuous physical processes. While focusing on an intuitive development, this chapter lays the foundation for an operational understanding of continuous processes. For reference, it discusses some of the elementary theory of differential equations. This chapter also introduces the first-order logic of real arithmetic as a language for describing the evolution domains to which continuous processes are restricted when forming hybrid systems.